A Luxury Boutique Hotel In Ubud, Bali | Bisma Eight Ubud - No Más' Hollavolver - A Karaoke Night! 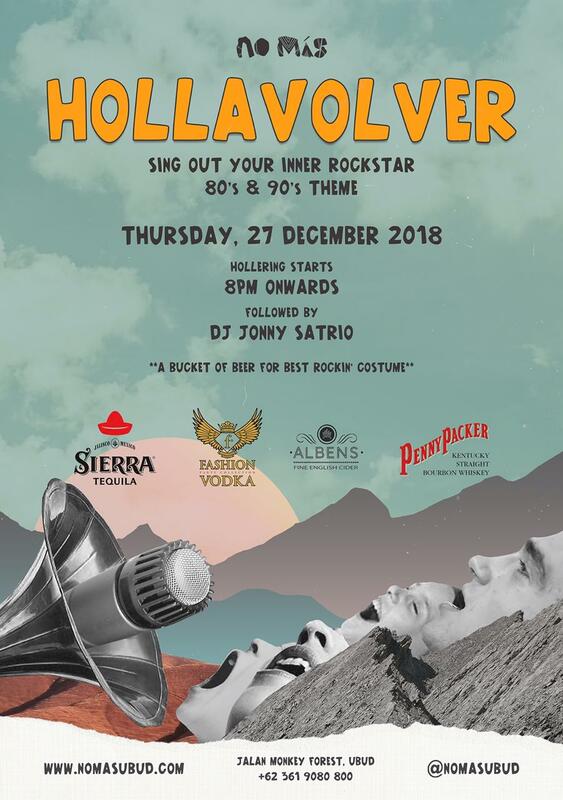 No Más' Hollavolver - A Karaoke Night! SING OUT YOUR INNER ROCKSTAR! Bring out the 80's and 90's vibes in you and rock the night out with more than 3.000 songs to choose from at our 2nd storey bar. Show off your solo or group singing skills and hit that super high applause meter ! If play dress-up is your game, get a free bucket of beer if could rock some of those 80’s/90’s styled costumes!